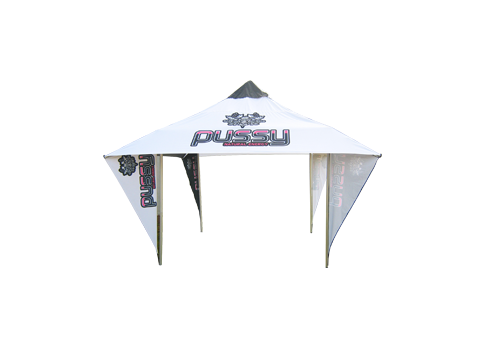 Versatile, light and bright, the Cabana Shade is perfect for branded events, indoor and outdoor, or just to use at home. It only takes seconds to put up and take down. The highly visible corner curtains offers even more branding space.